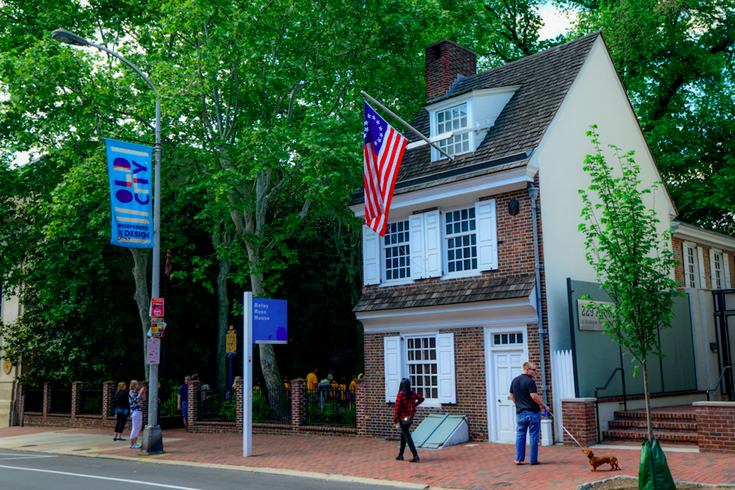 Built in 1760, the aptly named Betsy Ross House was home to the seamstress widely believed to have crafted the first Stars and Stripes flag used to celebrate U.S. independence in July 1776. Located in the Historic District’s Old City neighborhood, the former home exhibits interactive displays, period furnishings and appearances by Betsy herself to give visitors a look at the lives of Colonial women. The Betsy Ross House in Old City, a Philly landmark where Betsy Ross is said to have lived when she sewed the first American flag, will open a pop-up cider garden in the courtyard on select Thursdays. Those in the neighborhood can stop by for drinks and snacks. The event will feature locally brewed ciders from the Delaware-based Rebel Seed Cider and wine from Harvest Ridge Winery for $5. Local food trucks, live music and entertainment will be on-hand, as well. The cider garden will be open from 6-10 p.m. on Aug. 10, Aug. 24, Sept. 7, Sept. 21 and Oct. 5. Thursday is a good day to go out for food & drink in Old City. Many restaurants are offering deals for Old City Eats, through Aug. 31.